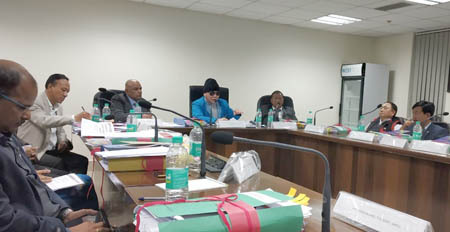 ITANAGAR, Feb 10: The final report on the permanent resident certificate (PRC) issue will be ready within this week and will be submitted to the government, informed joint high power committee (JHPC) chairman and senior cabinet minister Nabam Rebia on Sunday. The final meeting of the JHPC was held in the conference hall of the principal home secretary at the civil secretariat here on Sunday afternoon, and attended by several political leaders and representatives of student organisations. Rebia said the meeting was successful, with threadbare discussions having been held on the pros and cons of the PRC issue. “We discussed all issues pertaining to the PRC, including the conditions on which the PRCs would be issued, and we will send our recommendation to the government in a couple of days,” he said. On the attendance of the stakeholders, Rebia said the meeting saw the attendance of “about 80 percent” of them. However, there were no representatives from the organisations seeking PRCs. 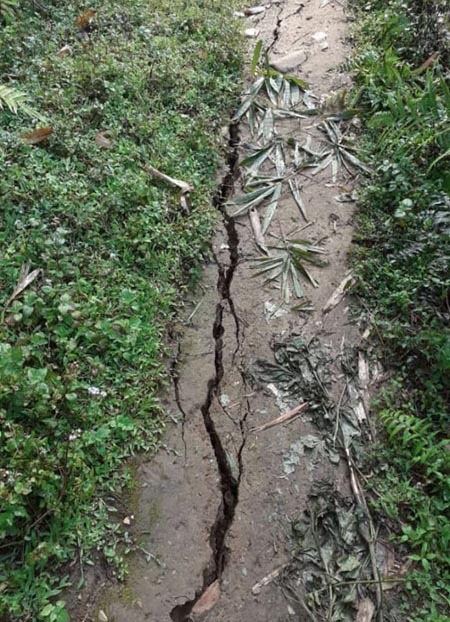 Speaking to this daily, All Moran Students’ Union-Lekang Regional Committee (AMSU-LRC) president Bihudar Moran said they have not received any official intimation regarding the meeting or its outcome, but have seen the social media buzzing with positive news regarding it. “Earlier, we were officially informed that the JHPC would submit its report to the government by 14 February, which would further be submitted in the coming assembly session for discussion,” he said. Moran said the organisations seeking PRCs are cooperating with the government in hopes that the government would come up with a positive response on the issue. “We will correspond with the government if there is no update on the JHPC report after 14 February,” he added. Meanwhile, sources informed that 26 members were invited for the final meeting on Sunday. They included MP Ninong Ering, IPR Minister Bamang Felix, MLAs Kaling Moyong and Tesam Pongte, BJP president Tapir Gao, PPA chairman Kamen Ringu, Principal Political Secretary AC Verma, the deputy commissioners of Papum Pare, Changlang, Lohit and Namsai districts, All Arunachal Pradesh Students’ Union president Hawa Bagang and general secretary (GS) Tobom Dai, All Papum Pare District Students’ Union president Nabam Tado and GS Gollo Lanto, ATSU president Sengman Rongrang and GS Samchan Changmi, All Tai Khampti Singpho Students’ Union president Chow Kohana Chowpo and GS Chow Milling Khangkio, and AMSU president Legam Takaliang and GS Chokhiya Tayang. Meanwhile, members of the United Arunachal Indigenous People’s Forum (UAIPF) took out a motorcycle rally from Nyikum Niya Hall in Nirjuli to the IG Park tennis court here on Sunday against issuing PRCs to non-APSTs, shouting slogans against Chief Minister Pema Khandu and Deputy CM Chowna Mein. The UAIPF was supported by the Arunachal Social Welfare Alliance.